In addition to replacing and repairing auto glass, All Star Glass is dedicated to improving safe auto glass installations in its 30 locations within California. 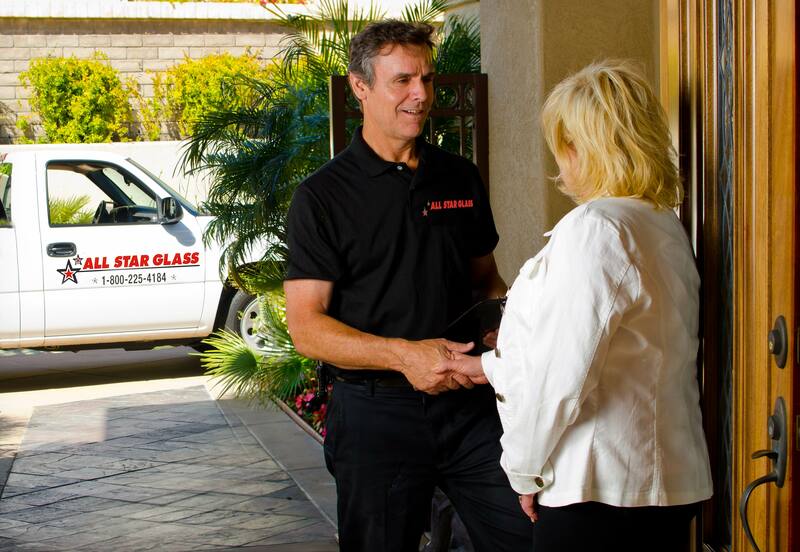 Effective March 21, 2014, All Star Glass will enhance its commitment to the safety of its customers by using a PREMIUM 30 minute safe drive away time adhesive in all of its 30 California locations. This new bonding and sealing adhesive product is crash test proven to be fast curing, allowing customers to drive away within 30 minutes of a windshield replacement. The product is Dinitrol 9100 Urethane Adhesive. It meets all applicable Federal Motor Vehicle Safety Standards (FMVSS) and is OEM Approved for many auto manufacturers. To the best of their knowledge, All Star Glass was the first U.S. auto glass replacement vendor utilizing this product in all of its replacement jobs. Vehicles with passenger side airbags have stricter requirements to reach safe drive away time because of the extra strength needed when the passenger side airbag is activated in an accident. The Dinitrol 9100 adhesive meets those requirements. All Star Glass understands that getting your vehicle back on the road as soon as possible is important to you. By using this 30 minute adhesive, All Star Glass makes it more convenient to get the job done correctly, but safely, in the shortest time possible. Your safety is their number one priority! Store hours are Monday through Friday, 8:00am to 5:00pm; however, their 24/7 call center can schedule an appointment for your auto glass replacement or repair by calling (800) 225-4184. Or go online to http://www.allstarglass.net/california-auto-glass-repair-and-replacement-services and find any of the thirty locations in California. Most windshield replacements and other auto glass jobs can be completed within 24 hours. All Star Glass is a certified member of the Auto Glass Safety Council (http://www.agsc.org). The AGSC provides for a technical 48 point, independent inspection and audit of the work and procedures of All Star Glass at each of its locations. The 100+ auto glass technicians at All Star Glass are trained, tested and certified in proper techniques and procedures. Less than 15% of the U.S. auto glass companies are participating in this elite class of professionals. To learn more about our safety program, go to http://www.allstarglass.net/safety-and-autoglass. Not all auto glass businesses are created the same. Windshield replacement and auto glass repairs are very technical tasks that should be completed by an experienced installer. The All Star Glass team has all proper credentials to do business in the state of California and is fully insured. Each of the company’s 30 auto glass centers has business licenses for its area and complies with all requirements for the Bureau of Automotive Repairs. All technicians have passed pre-employment criminal background checks and drug testing, as well as in-house training specifications and certification by urethane and glass manufacturers. All Star Glass products, vehicles and employees are fully insured.